I’m going to keep this short and sweet. 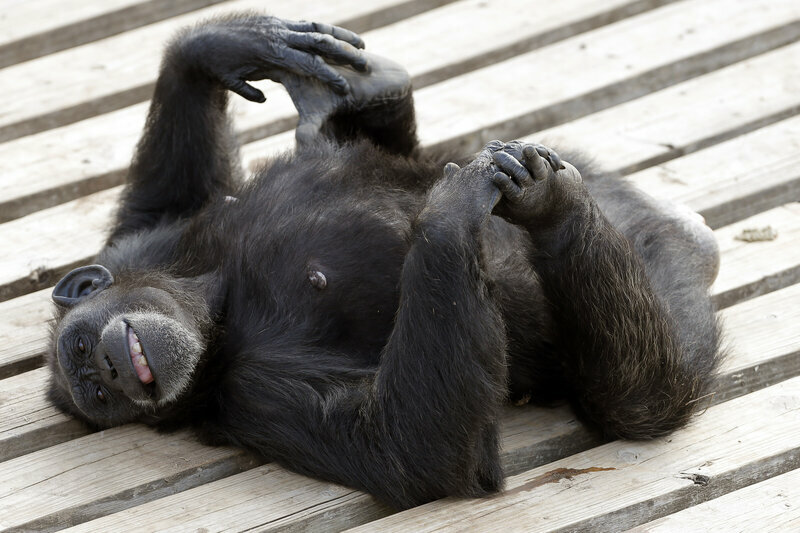 The following linked article is pretty self-explanatory, but suffice to say, granting chimpanzees a writ of habeas corpus is a monumental step on the road to personhood. While that may not be the intention of the judge, it’s going to make for an interesting hearing on May 6th. Stay tuned. With all due respect these headlines are very close to–if not “misleading” please. Though I truly appreciate the enormous labor that is expended in advancing protections and acknowledging inherent rights of all living beings, human and non-humans. The Order was an Order to be heard. NO DECISION has been made as to habeas corpus, and nothing gets a judge angrier than to put words in their mouths or have their actions misrepresented–even if innocently. In fact, such publicity compelled the judge swiftly to amend her decision and cross the words out habeas corpus. It is important for the attorneys to show what those “changed conditions” are in our society which permits a Court to reject the venerable rule of experimentation of living creatures who inherently posses a self. All we have hear is the opportunity to be heard on the issue of habeas corpus, NOT A WRIT, for no writ was given.